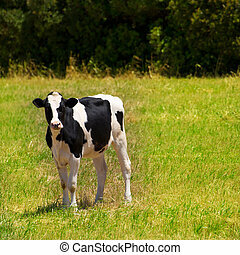 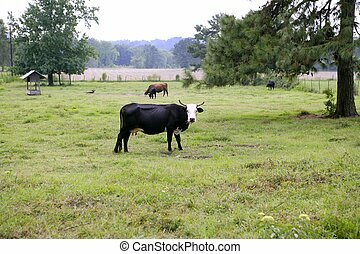 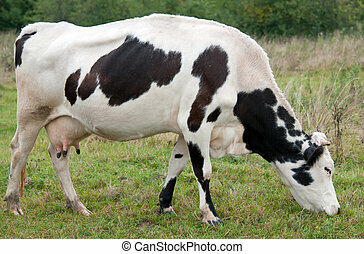 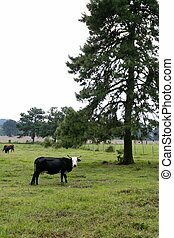 Black and white cow eating green meadow grass. 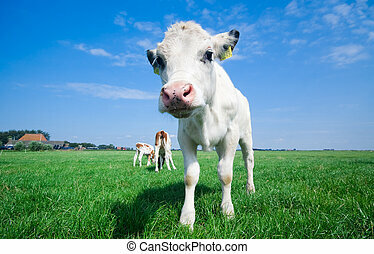 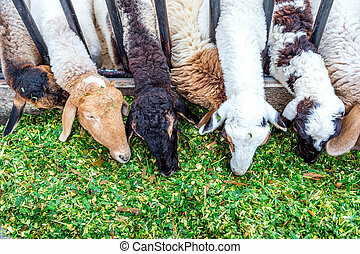 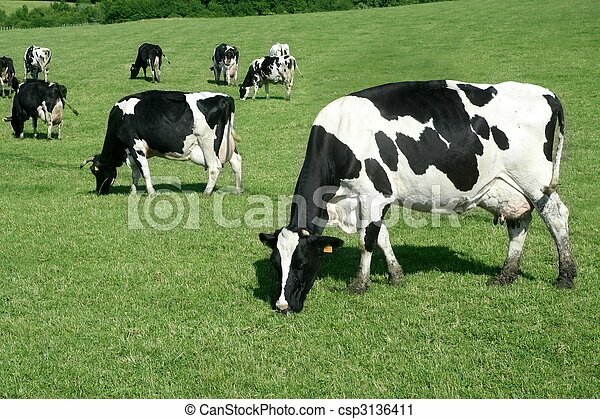 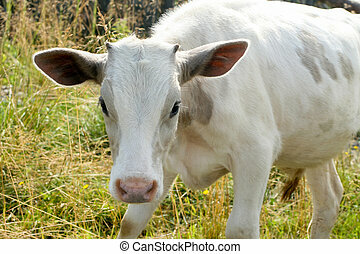 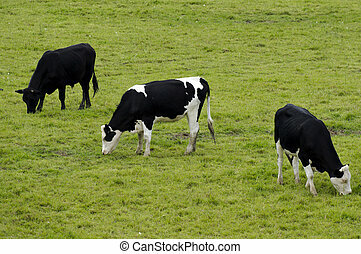 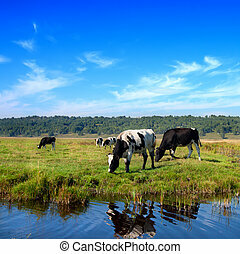 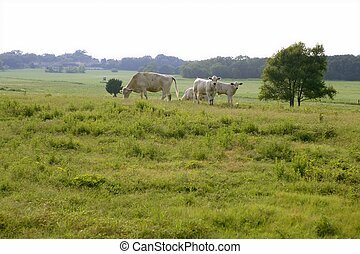 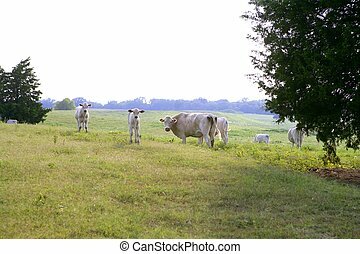 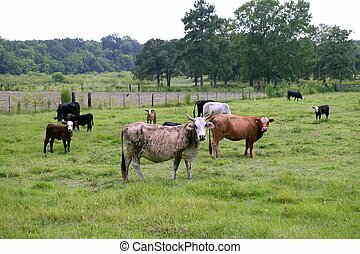 Cow eating grass in rural areas. 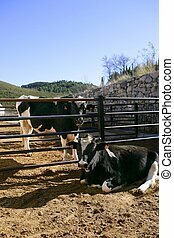 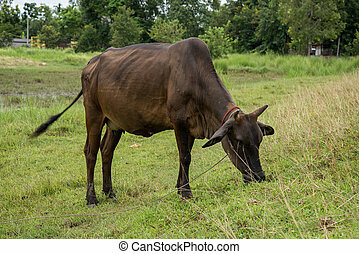 Thai cow, Thailand. 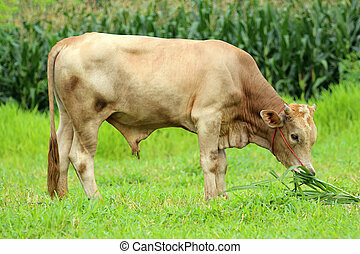 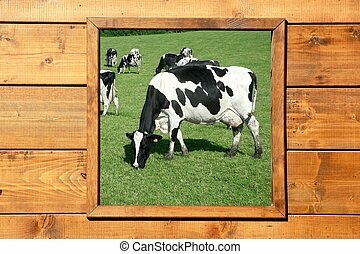 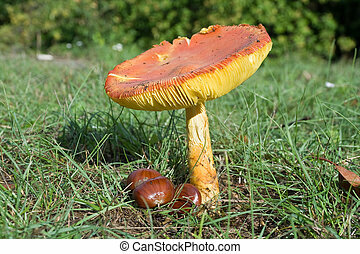 Image of a brown cow eating grass. 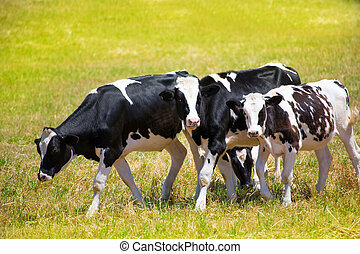 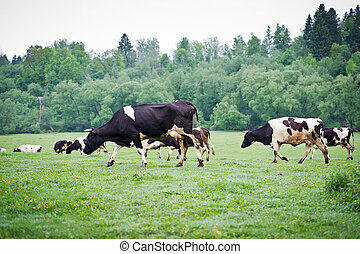 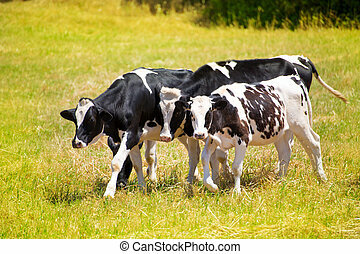 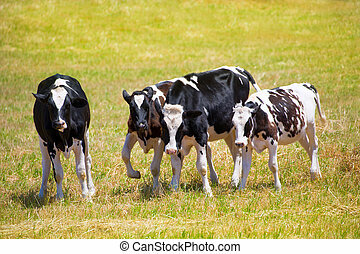 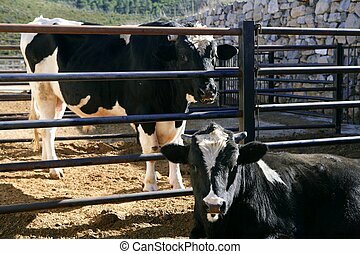 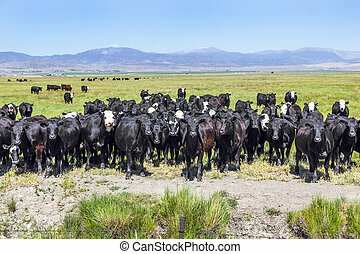 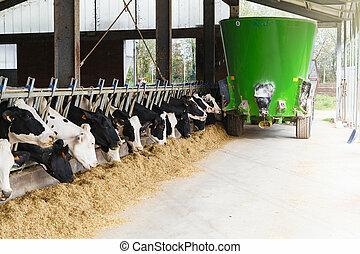 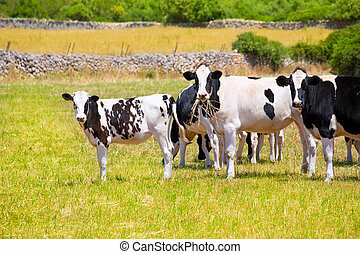 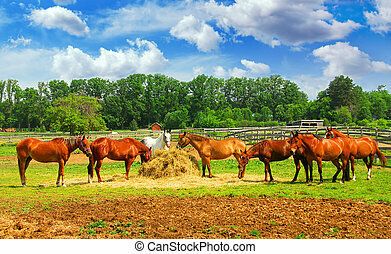 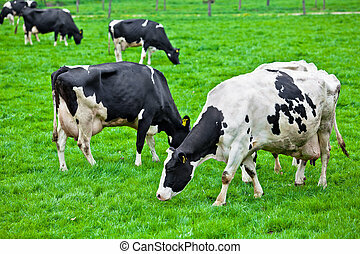 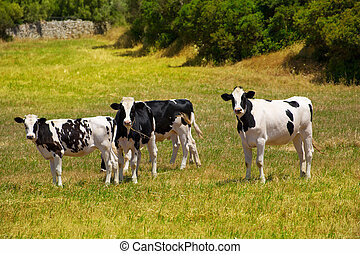 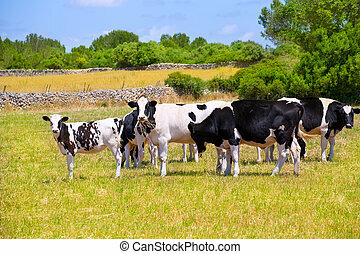 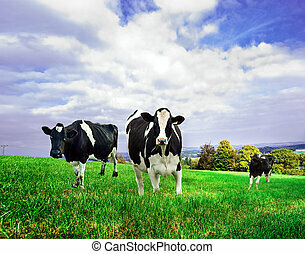 Friesian Dairy cows in a green pasture.